This one looks like a perfect Christmas cookie, just waiting to be eaten. 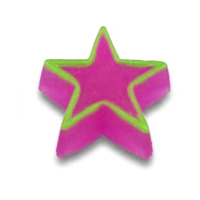 The Star Soap Mold would be a fun choice for scented soaps like cinnamon, almond, or peppermint. 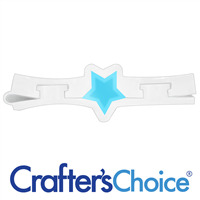 This simple star mold is a versatile mold useful all year round. Craft soap for 4th of July, New Year’s Eve or weddings with this mold. 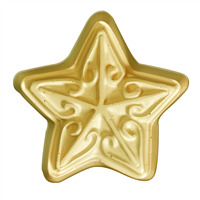 Add sparkle to holiday festivities with the Stars Soap Mold Tray. 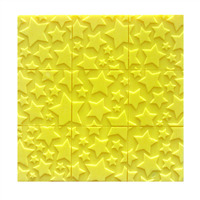 Whether you’re celebrating the Christmas season or creating your own glamorous walk of fame for the annual Oscars party, this star-studded soap mold makes nine square bars and is perfect for making everyone feel like a celebrity. Bar Depth: 1" Bar Length: 2.626"